Here at Get Noticed Locally, we use a Content Management System (CMS) called WordPress to power all of the websites we design. In this article we will define what is meant by a CMS and how it benefits our customers. 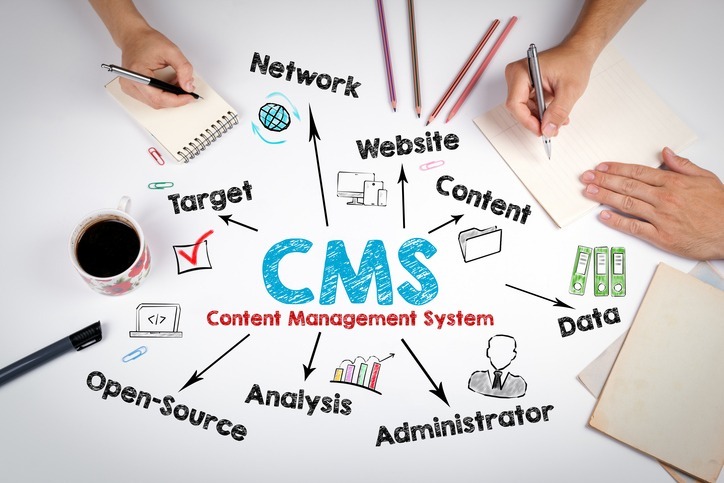 A Content Management System or CMS is the software installed on your website that enables you to easily create, edit, organize and publish content on the web. With a CMS you can create multiple users on your website, each with unique login credentials and varying capabilities (which are set by you) to manage the content within on the site. Editor – An editor user can change the text and images on any of your pages and if you choose to have a blog on your site they can easily add new posts to your blog and edit existing ones. Shop Manager – If you have an e-commerce website a shop manager user can add new products to the site and edit existing products. This includes changing the price of the product and uploading product images. Admin – An admin user on the website can make more advanced changes, such as installing plugins which affect how the website functions. They can also change the theme installed on the website which affects how the site looks. Importantly, all the changes made by any of the user roles above will appear immediately on your website. Who can use a CMS? Content Management Systems like WordPress are designed to be as user-friendly as possible so that even basic web users can use them without knowing a single line of code. Without any technical training you will be able to easily add, delete and edit the content on your website. If you have just a little experience with software such as Microsoft Word then you will be able to manage most of the content of your web site very easily. You will be able to manage your website content from any normal web browser, on any device, from anywhere in the world. WordPress is just one of many Content Management Systems that you can use to build a website. It was released in 2003 and today it is used to power 60 million websites including 31% of the top 10 million websites. We are Hull-based WordPress experts and have been using it for over a decade to power all of the websites we develop. If you choose Get Noticed Locally to design and develop your website, we will provide lots of support to enable you to use WordPress and can send you clear instructions for performing a range of tasks. If you really don’t fancy using the content management system and prefer to email or telephone any changes to your website then that is still great with us too. Depending on which of our website hosting & support packages you signed up for you will be allocated a certain amount of support time each month. Finally the most important thing is that if you are a customer of Get Noticed Locally you will have an attractive, affordable and effective website that can be easily updated both in terms of content and design.